Le projet, Remix and the Rouelles of Media Production, est une forme de livre en réseau qu'il est possible à la fois de lire, d'annoter et de réécrire. Les collaborateurs principaux en sont Mette Birk, Mark Cantwell, Owen Gallagher, Eli Horwatt, Martin Leduc, Eduardo Navas et Tara Zepel, et le projet est parrainé par plusieurs organismes, dont turbulence.org, newmediafix.net, Telic Arts Exchange et Freewaves.org. The text on video remixing contributed to Networked Book is the result of an ongoing collaboration that started in January 2010, when Owen Gallagher invited Mette Birk, Mark O’ Cúlár, Martin Leduc, and Eduardo Navas to join a ‘Remix Theory and Praxis’ online seminar. In April, Navas invited Tara Zepell to join the group. The text explores concepts of remixing not only in content and form, but also in process. The aim of the collaboration is to evaluate how the creative process functions as a type of remix itself in a period when production keeps moving toward a collective approach in all facets of culture. The emphasis on video remixing is the result of a collaborative rewriting activity among the contributors, who each wrote independent paragraphs that went through constant revisions once combined as a single text. Video was selected as the subject of analysis because members have a common interest in time-based media, and also because video remixing is at the forefront of media production. 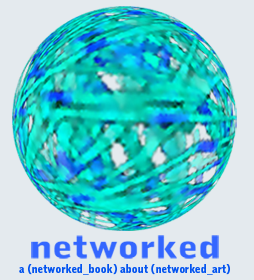 One of the group goals is that the text becomes a statement of what video could be as a reflective form of the networked culture that is developing at the beginning of the twenty-first century. The text is in constant revision and readers are encouraged to join in its writing.